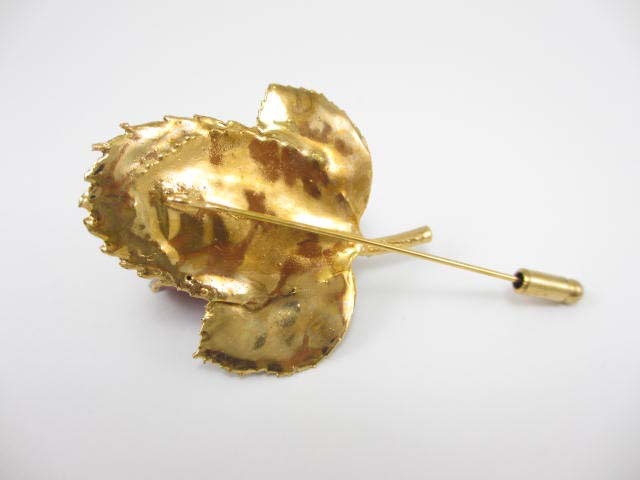 Glass coating applied to the fresh flowers such as rose, edged with 24k gold plate. 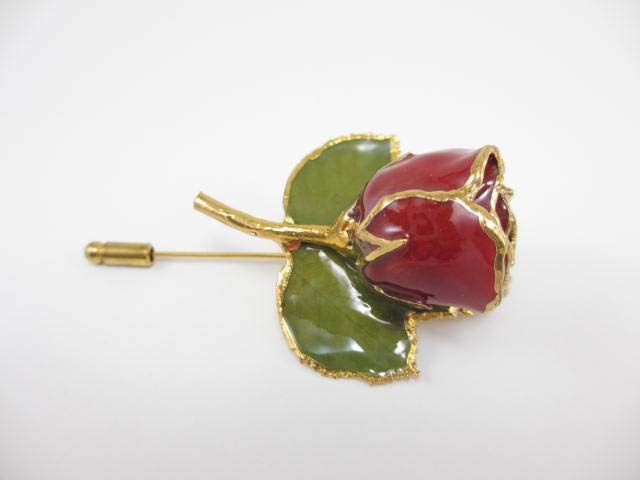 Vivid red rose would be a girlish accent for your dress. 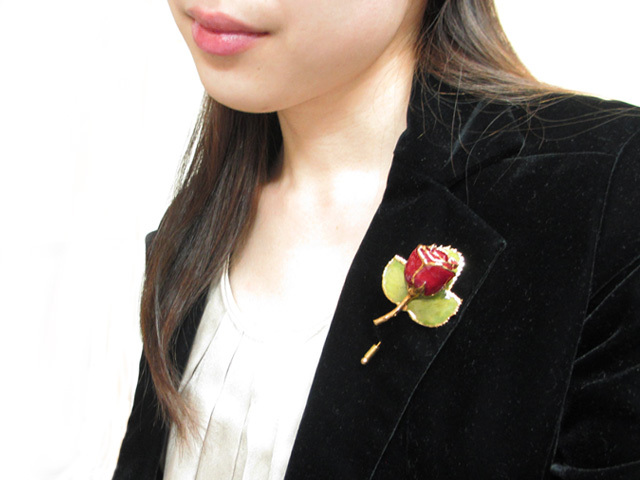 Please look at this cute brooch and others in our online store under the Fresh Flower category!